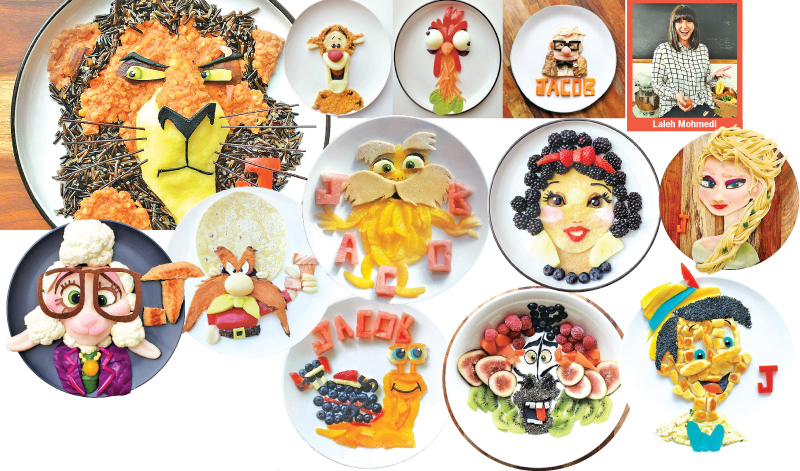 Most parents tell their kids not to play with their food, but this talented mom has turned it into an art form! 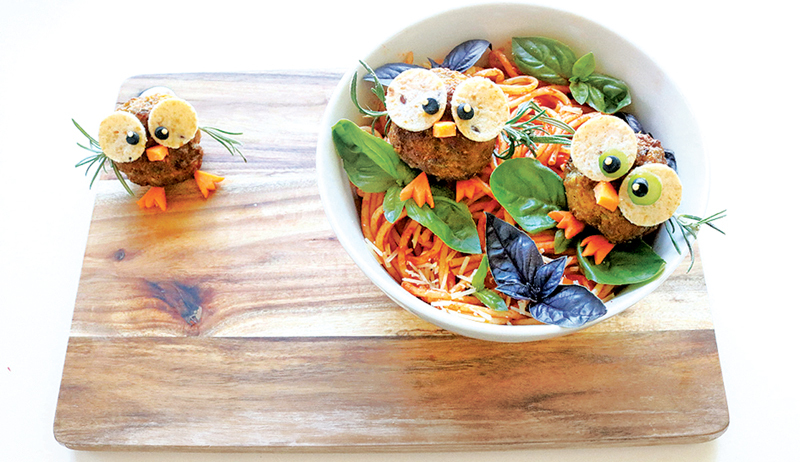 When Laleh Mohmedi wanted to encourage her three-year-old son, Jacob, to eat more healthy foods, she decided to get creative. “I have always been a strong advocate in healthy organic eating for children,” Mohmedi, who lives in Melbourne, Australia, told ABC News. Mohmedi posted the lion on Facebook and was surprised by all the positive reactions she got on social media. She started an Instagram account to document her incredible food creations, and today she has more than 51,000 fans. Mohmedi doesn’t have any formal artistic training, but she has gift for transforming raw ingredients like kale, avocado, potato and tortillas into incredible portraits of Disney characters and other cartoon favorites. She made a portrait of Elsa from Disney’s ‘Frozen’ from garlic and spinach fettuccine with parsnip, potato and mashed beets. Her son, Jacob, has a lot of input into the characters she makes, Mohmedi told ABC News.